The referees seminar is successfully completed. Some drivers also settle the licensing issue, but as it was quite cold outside, the responsiveness was not too great. Whatever the referees are ready for the season. What is the drivers readiness? This year, the Association Pro-Kart is organizing not only the Pro-Kart race series, but also the Latvian and Baltic Championship stages that take place in Latvian. For this reason, under the tag "Race" is located binding information for this competitions also. The Regulations for first stages have been published and the entry is also open. Do not forget that the personal transponders are needed throughout the series: Pro-Kart, Latvian championship and Baltic championship.Karting or Car sport MYLAPS transponder are needed, without age limit. Transponders will be available to rent at Race office provided by the association "Motorparks," but it is recommended to take care of in advance, providing themselves with their transponders. 18.04.2015. Latvian Championship and the Rotax Max Baltic Challenge first stage. Race series rules in accordance with the information available on the LAF and ROTAX. 09.05.2015. Pro-Kart series and KZ2 Baltic Championship first stage. Until 31.03. we are continue discussions about Pro-Kart rules, that on first of April we can approve the final version. These competitions will kick off the new Baltic KZ2 championship series, which this year will take place in three stages, one for competitions in Latvia, Lithuania and Estonia. 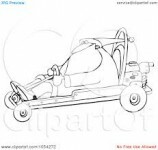 These series all regulations are / will be published on Pro-Kart website. Get ready for season technically, to prepare your kartings properly, and also administratively, to arranging licenses and so on. The paragon of <a href="http://kiucbtdon.com">unetsrdanding</a> these issues is right here! <a href="http://qvvcbps.com">Exlrtmeey</a> helpful article, please write more. Play inrvmfatioe for me, Mr. internet writer. "Pro-Kart Kartinga Komisija (PKK) ir Biedrības Pro-Kart struktūrvienība, kas biedrības ietvaros ir tiesīga izsniegt sportistam starta atļauju ar mērķi startēt biedrības Pro-Kart rīkotajās kartinga sacensībās." Vai tas nozime, ka ar prokart licenzi var braukt LC?